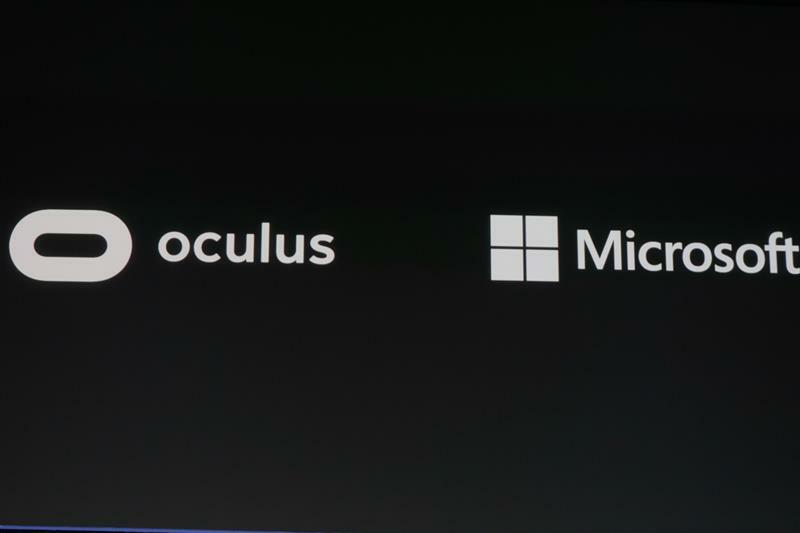 Windows 10 has also partnered with Oculus, Spencer says. "The Rift will natively work with Windows 10 to make it easy to set up, jump in and have incredible virtual reality experiences from day one." 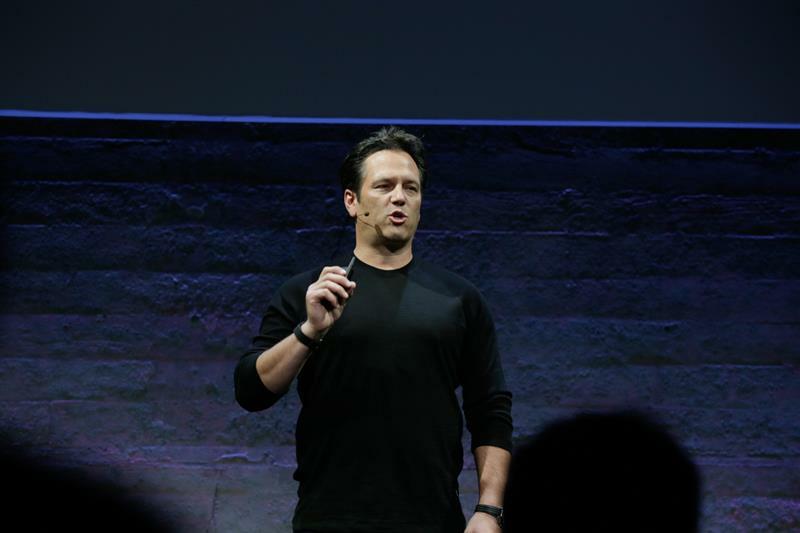 We believe we'll be able to create state of the art virtual reality experiences on Windows, Spencer adds. 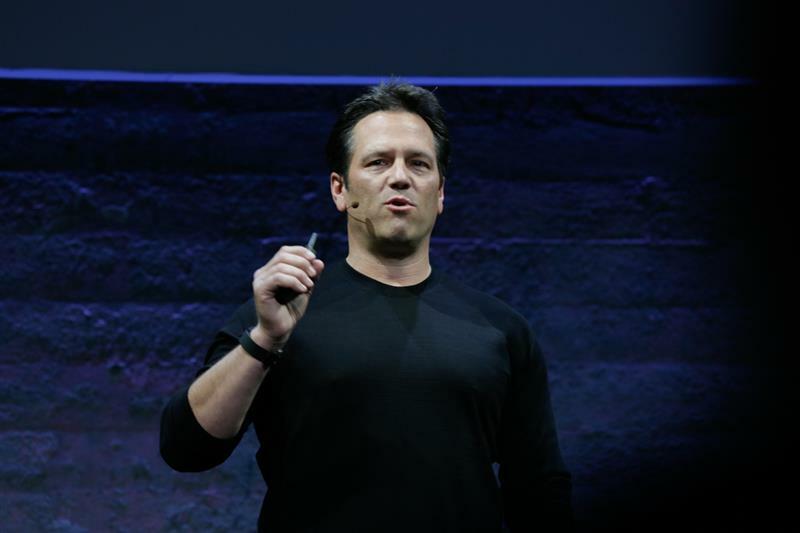 Xbox One games can stream to Windows 10 devices, Spencer added. 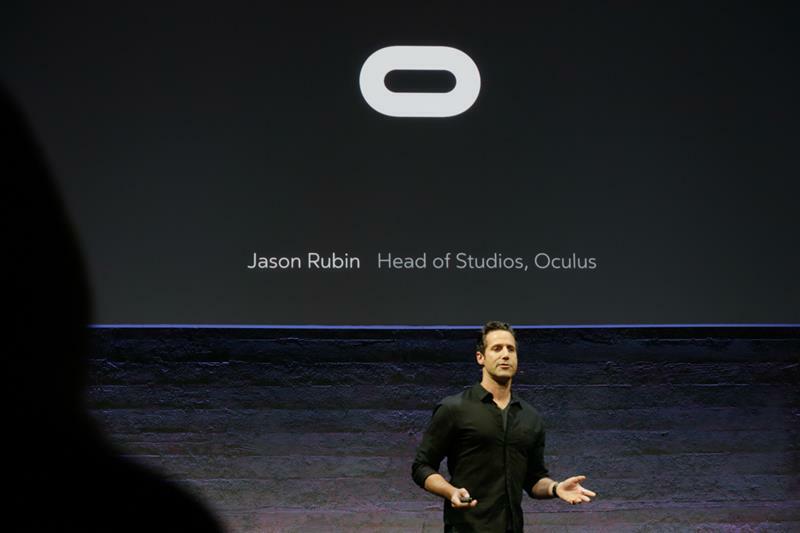 Now, the streaming capability will work on Oculus Rift. 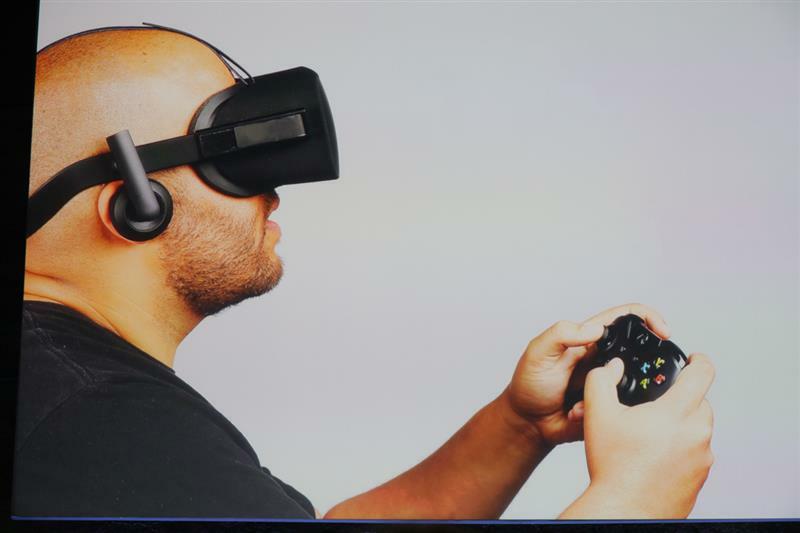 Xbox One games like Halo, Forza and Sunset Overdrive can work with Oculus, he says. There's a virtual cinema experience, Spencer says, that shows the games. The cinema looks like a home theatre, for example. It's not ideal, but it at least brings a bunch of games to the Rift. Lots more planned, Iribe says (he's back on stage). Maybe seeing friends, for example, in that cinema. 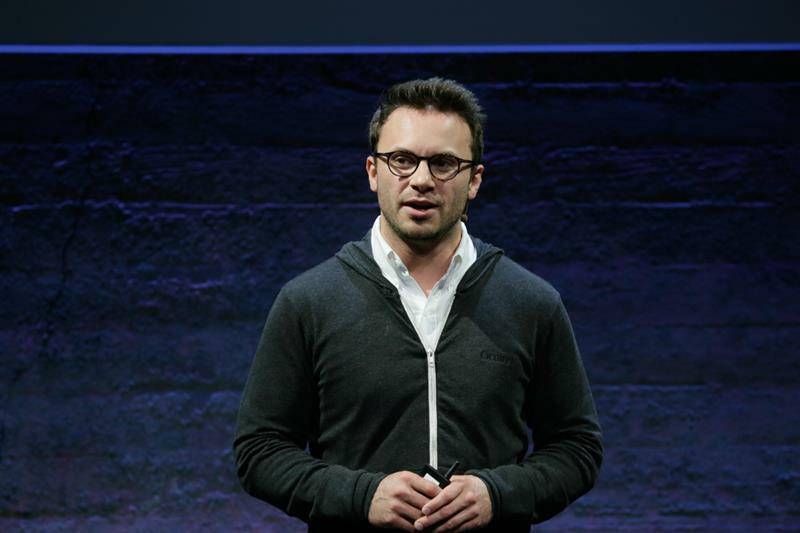 "I'm just thrilled to have that device in there," Iribe says of the Xbox One controller. 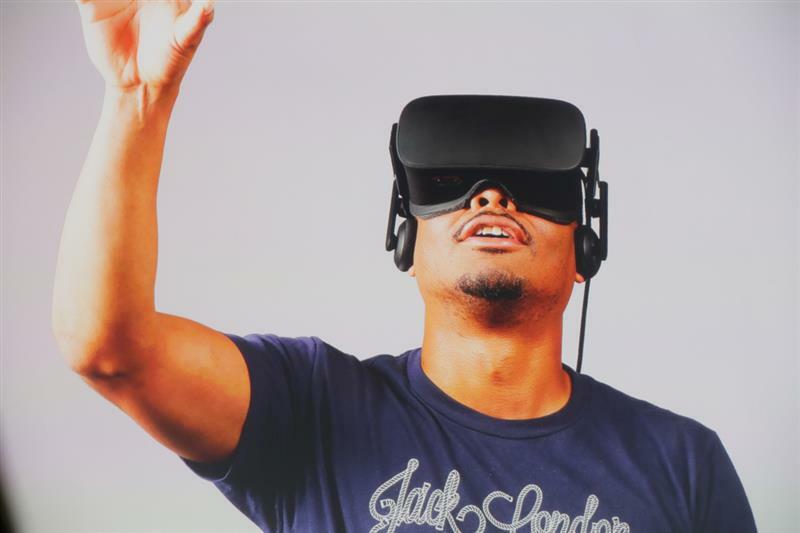 As it all comes together, the VR technology isn't worth much without content, Iribe says. "It's content that makes you feel like you're there." 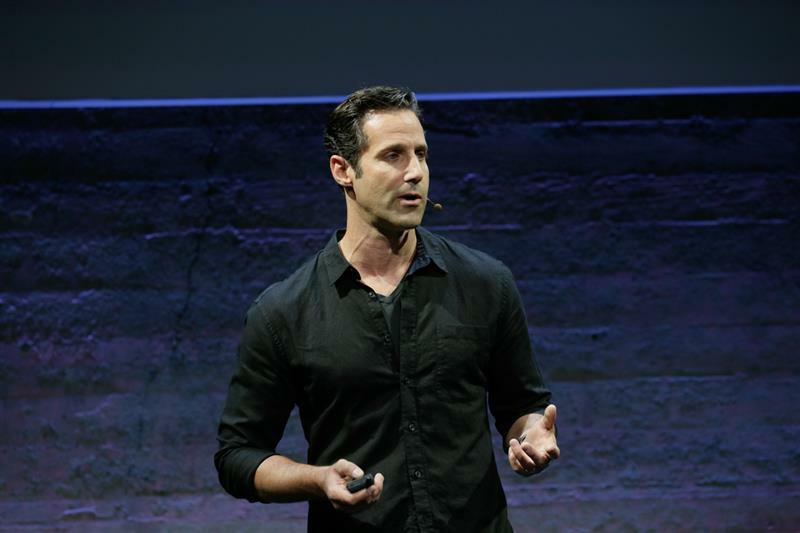 Now Jason Rubin, head of Oculus Studios, on stage. 40 years ago "Star Wars" came out and blew the world away, Rubin begins. It took six years for Rubin to convince his parents to buy his first computer, but he immediately began making games. Those led to Crash Bandicoot and others, he says. There was always an unfulfilled promise though. A window they couldn't step through, whether it was a monitor or TV. 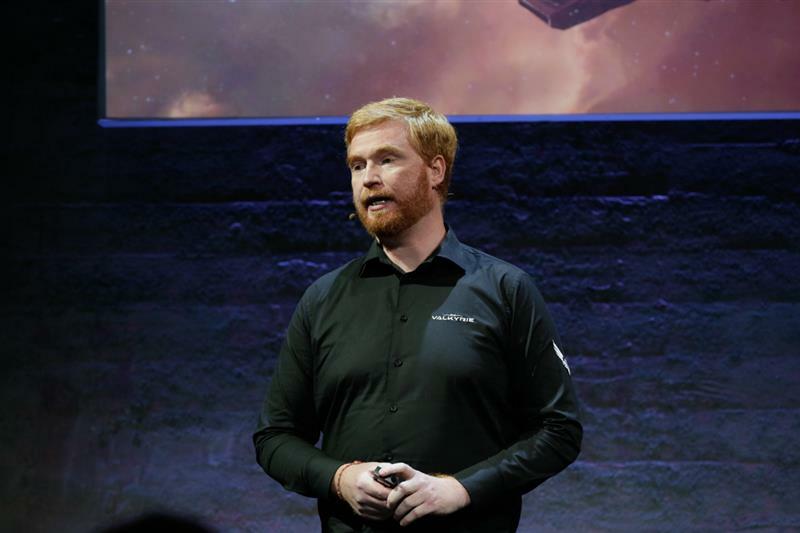 "We've worked with some of the best developers and publishers in the industry," he says. 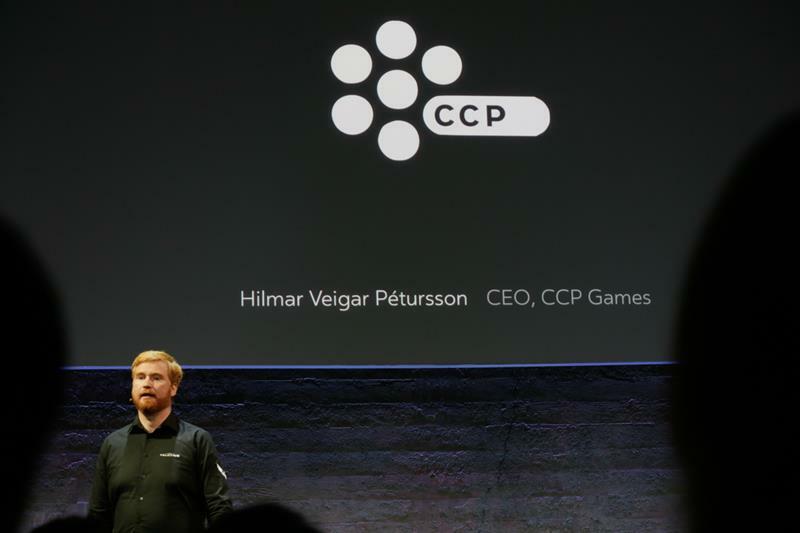 Now Hilmar Veigar Petursson, CEO of CCP games (Eve franchise) is on stage. 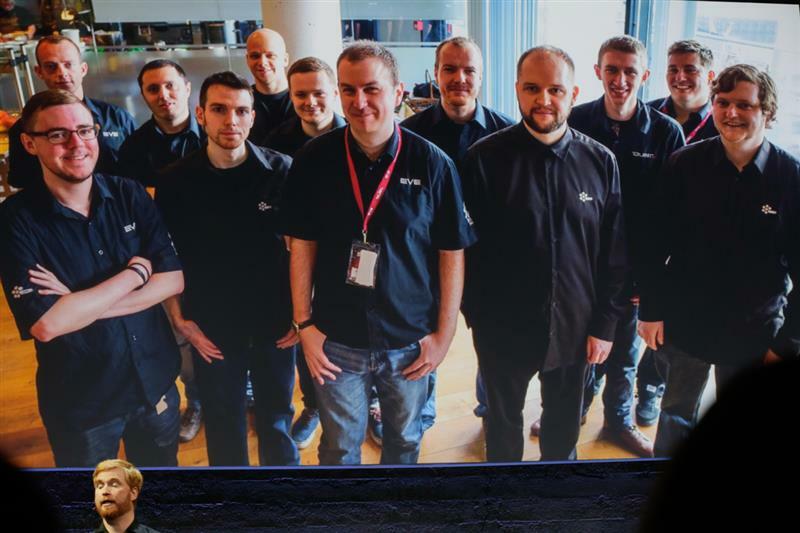 Many of the early employees at CCP worked on VR 20 years ago, he says. 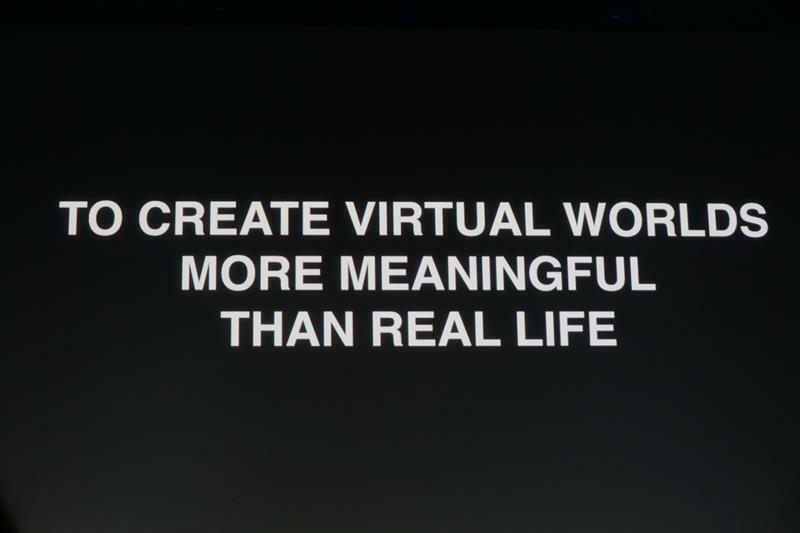 "Our company vision is to create virtual worlds more meaningful than real life," Petursson says. So now we're talking about Eve Valkyrie, a space shooting game. A small group of developers in Iceland were so inspired by the Kickstarter for Oculus that they began trying it. 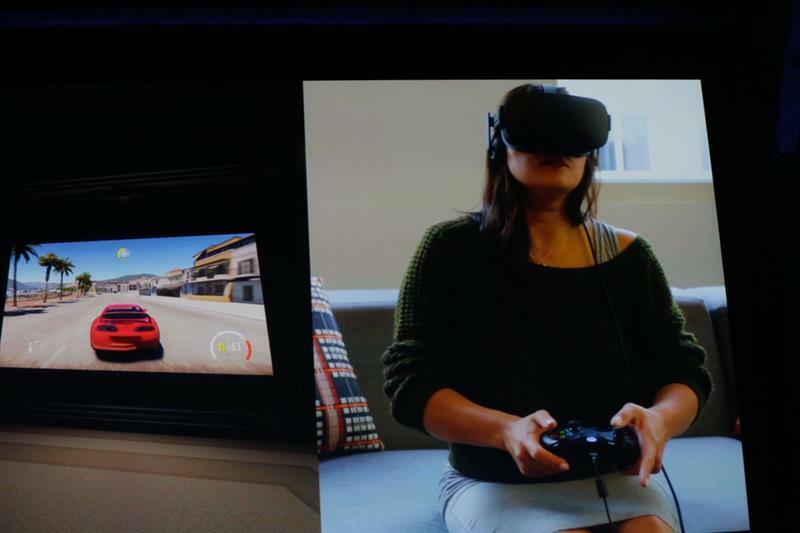 It's no surprise that the first thing they did with the Oculus was a "tech-demo space shooter." But it surprised Petursson how good it was.